Free Windows 10 upgrade for Windows 8 and Windows 7 users is availabe by registering to Windows 10 upgrade program. After the free preview releases of Windows 10 if you have used the new version of Windows from Microsoft, it is possible to upgrade existing Windows 8.1, Windows 8 and Windows 7 PCs to Windows 10 corresponding editions free by registering a free upgrade program that is valid for 1 year. During this 1 year period, you can register for free Windows 10 upgrade and when your PC is ready free upgrade to Windows 10 using Control Panel Windows Update program from the Optional Updates tab. After the RTM release is announced by Microsoft on 30th of September especially for the enterprise customers, home users can also download Windows 10 setup binaries in various formats using Media Creation Tool The RTM final release of Windows 10 is available since 29th July. For 1 year period starting at this time Microsoft Windows 7, Windows 8 and Windows 8.1 users will be able to upgrade their operating systems to Windows 10 for free. Windows 10 provides one unified platform for all devices ranging from internet of things (IOT) to smartphones, desktop computers to laptops and tablets, etc. You can download Windows 10 free setup or upgrade file in .iso format or as USB flash drive using Media Creation Tool.. Please read Download Windows 10 and Create ISO for Setup or Upgrade for details. The best option is first registering at Microsoft for free Windows 10 upgrade and when you are notified that your PC is ready for upgrade launch Windows Update to upgrade to Windows 10. Today it is also possible for IT professionals or for home users to test and evaluate Windows 10 Enterprise edition for a limited time (90 days). If you are willing to test the most recent Windows operating system, Windows 10, please download Windows 10 Enterprise Edition from Microsoft TechNet Evaluations web portal. Before RTM or final release of Windows 10 the Windows 10 setup files could be downloaded as .ISO files from Windows Insider program. To download .ISO setup file for Preview versions of Windows 10 download files in different language and for 32-bit or 64-bit builds, please visit Windows Download Preview web portal. For the early preview of free Windows 10, please use the following Windows 10 product key for Windows 10 setup. 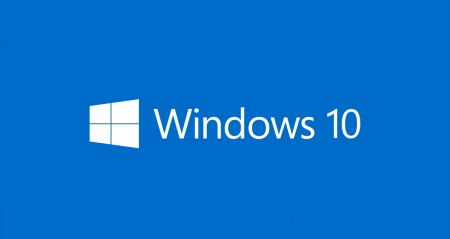 The most recent Windows 10 build number available for public free use is Windows 10 Build 10162. During Win10 installation of Build 10162 please use product key 8N67H-M3CY9-QT7C4-2TR7M-TXYCV. If you have already download Windows 10 Build 10130, you can use Windows 10 Product Key 6P99N-YF42M-TPGBG-9VMJP-YKHCF to start Win10 setup. Otherwise, if your Windows 10 Preview release build number is Build 10074 then during installation use the free Windows 10 product key 6P99N-YF42M-TPGBG-9VMJP-YKHCF. For earlier release, you can use free Windows 10 product key NKJFK-GPHP7-G8C3J-P6JXR-HQRJR with Windows 10 Preview release installation for Preview Build 9926. If you want to install Windows 10 on virtual device, I recommend you to use VMware Player for creating the virtual machine for Windows 10 Preview operating system. Although I use Oracle VM Virtual Box for my virtual PC installations, this time I experienced Windows 10 0x0000005D setup error that I could not overcome. But when I use VMware Player, it worked like a charm and I succeeded the Windows 10 setup without any error. You can download VMware Player free tool for virtualization at referred resource. ISO format of Windows 10 download file size is around 3.73 GB for 64-bit editions. On the other hand the total size of Windows 10 download sizes for X86 edition for different languages are around 2.76 GB. Right now, after the first wave of public available Win10 downloads where only 4 languages were provided, now Build 10130 of Windows 10 is available for 22 languages including English (US and UK), Chinese (Simplified and Traditional), Portuguese (Brazil), German, French (Canada), Turkish, Russian, Japanese, Italian, Dutch, Spanish (Latin America), Polish, Swedish, Czech, Arabic, Korean, Finnish and Thai. UPDATE: Please note following download links are for Preview versions of Windows 10 created in public available test phase for Windows Insider Program attendees. I'll continue to update this download page for Windows users who want to download and evaluate free Windows 10 operating system on their devices. You can check the Windows 10 screenshots gallery for a quick look at the new operating system.